At some point in recent years, a ghost in the urban planning machine put up 700 rogue stop signs in Cranston, Rhode Island, (pop. 80,000; stop sign pop. 2,600). They're totally undocumented, and the city can't figure out where exactly they came from. But after an investigation by a specially appointed committee, they're planning to leave 580 of 'em right where they are. 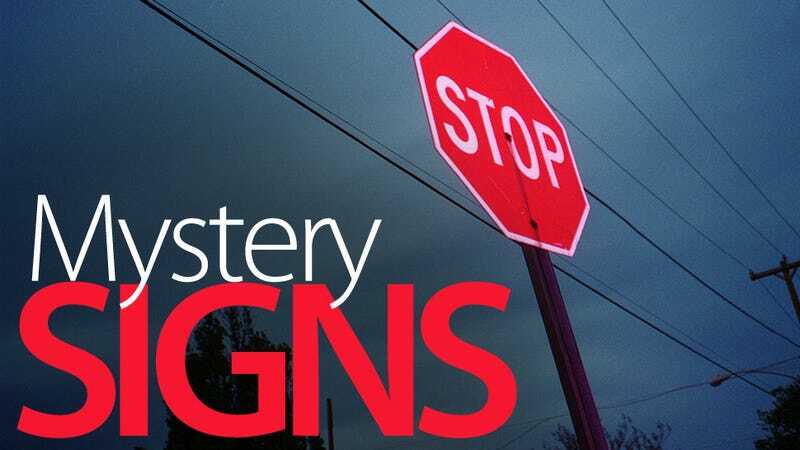 The city caught wind of the mystery signs last year, and a six month effort to map them out found that 652 of Cranston's stop signs—nearly 25%—were put up illegally. Some, they found, had been there for decades. The city said they thought the Department of Transportation was responsible for about a third of the signs, but that still left some 500 unaccounted for. They really didn't know what the hell was going on. All the while, judges had started to dismiss tickets written for running stop signs. You know, because they didn't know which ones were actual, legal stop signs. So what to do? Well, today a city committee is meeting to consider an ordinance that would make 587 of the "undocumented stop signs"—that's the official terminology for them—official. Seven mystery yield signs that will pass into the realm of the legitimate along with them. 21 stop signs and two yield signs, deemed unnecessary, would be removed.